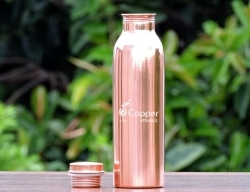 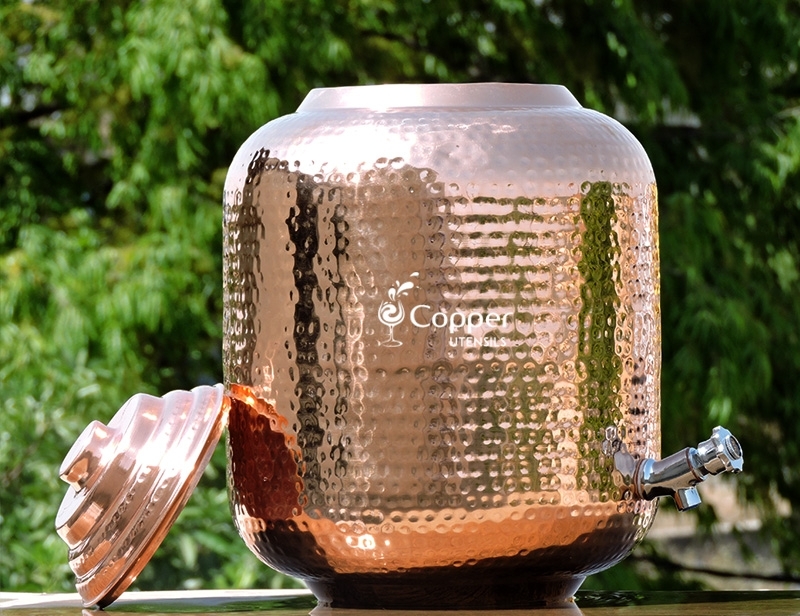 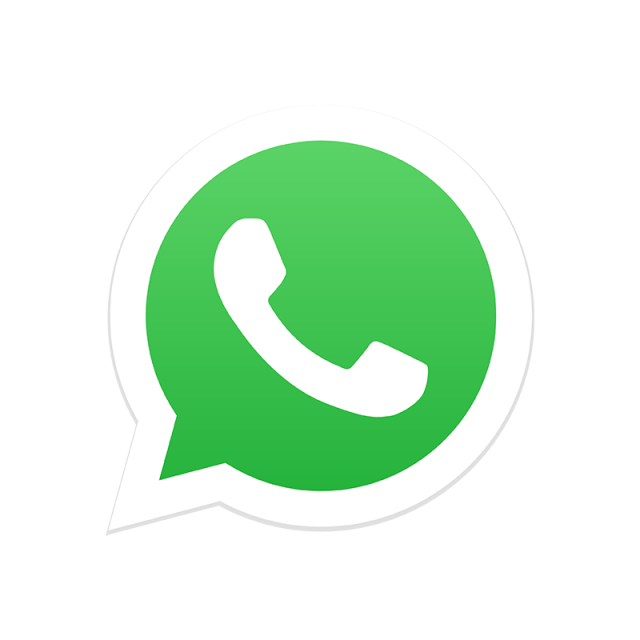 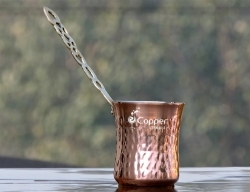 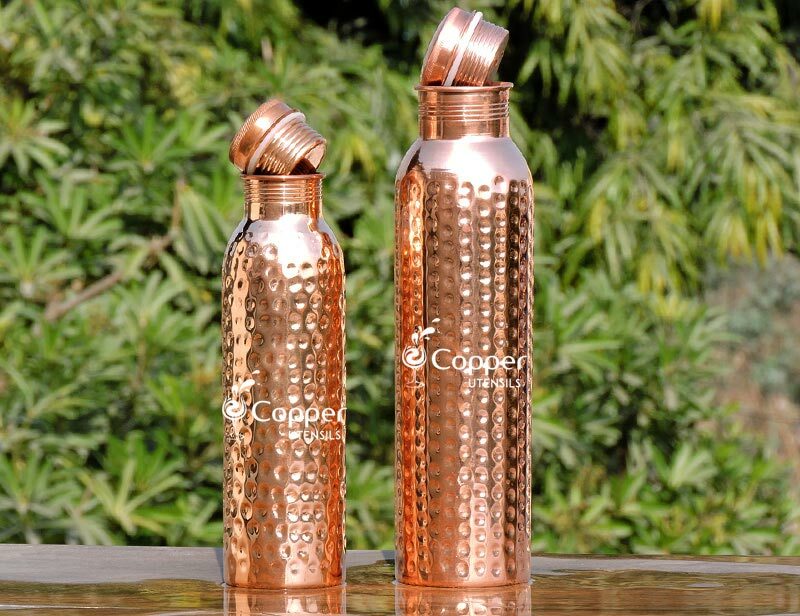 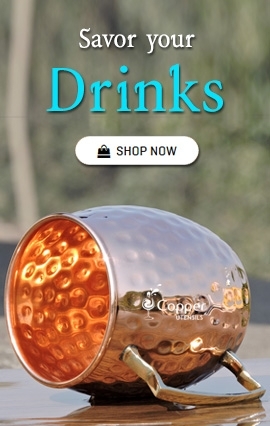 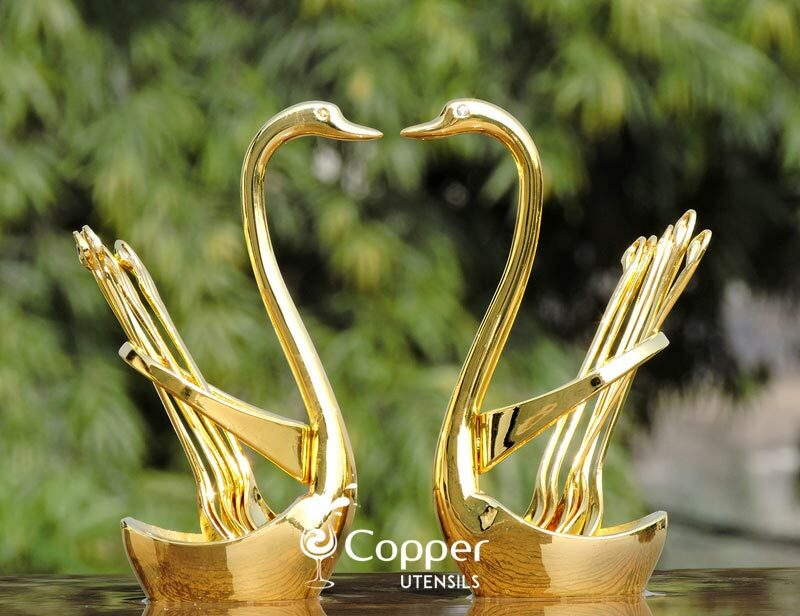 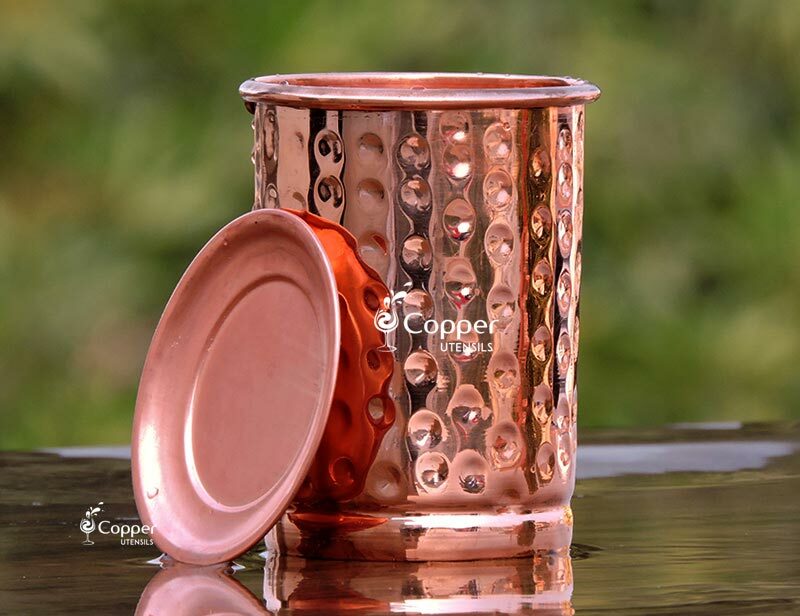 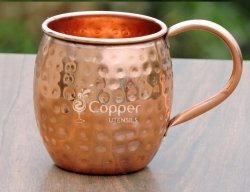 Made of pure, unadulterated copper and stainless steel. 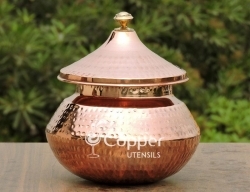 Hand crafted by skilled Indian artisans. 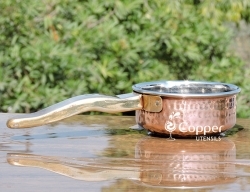 Perfect for making pasta, shallow frying, etc. 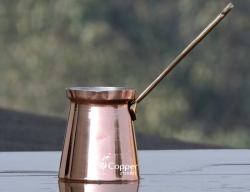 Flat bottom for even distribution of heat. 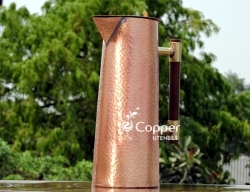 Sturdy brass handle for better grip and handling. 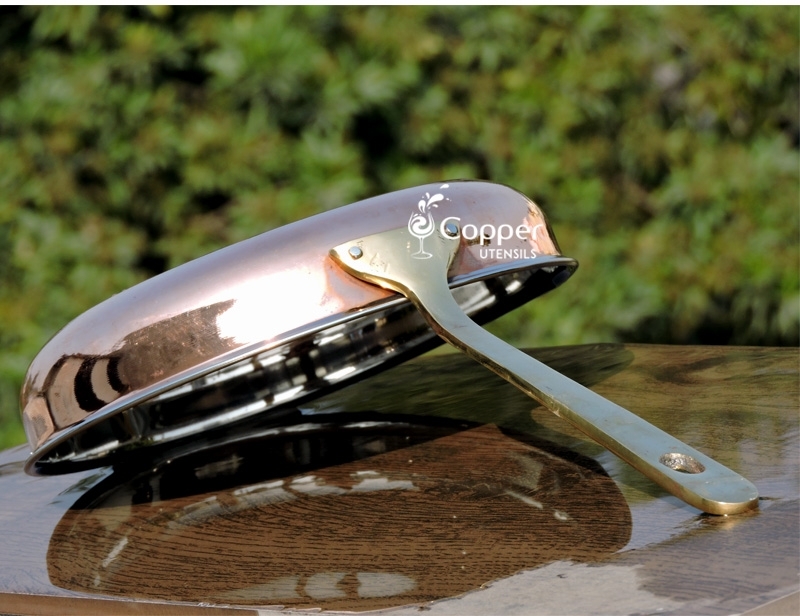 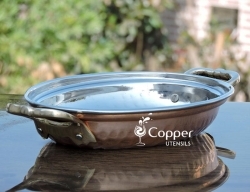 Our copper outer frying pan is a multipurpose product which can be used for frying or other cooking purposes. 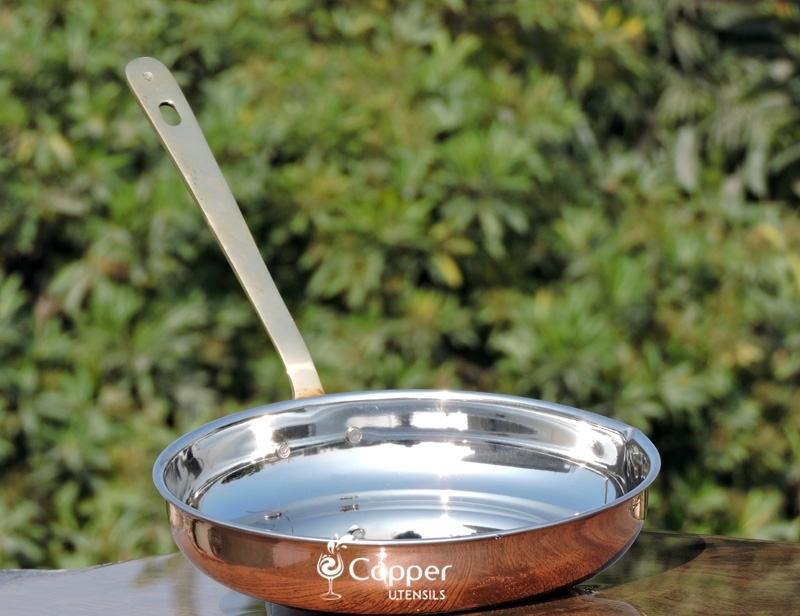 You can use the copper frying pan for making a quick omelet for breakfast or a grilled cheese to accompany your evening tea or coffee. 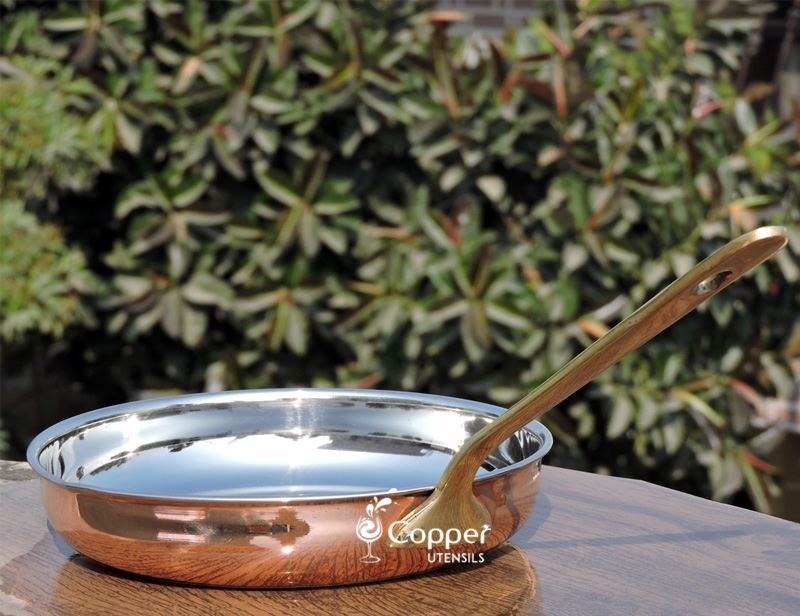 The pan has stainless steel inside and good quality copper exterior. 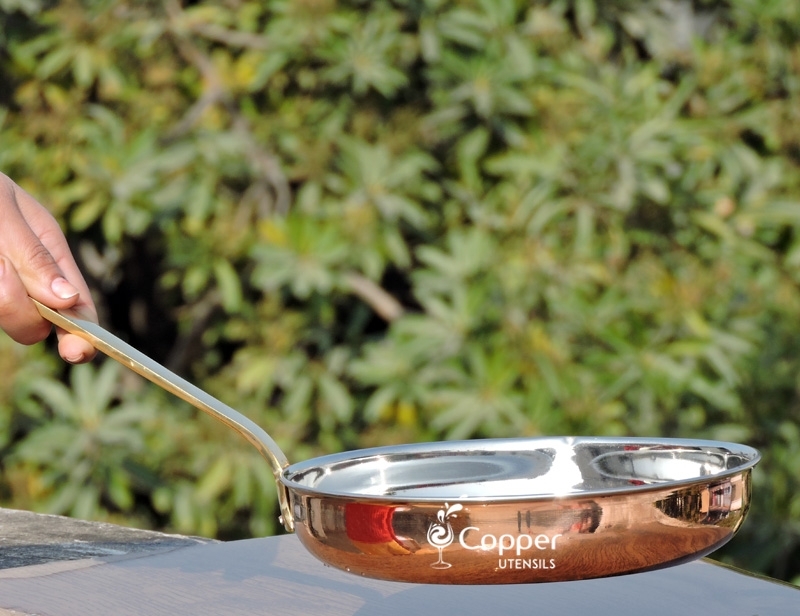 The pan has a long handle which won't heat up while cooking and provides the perfect grip. 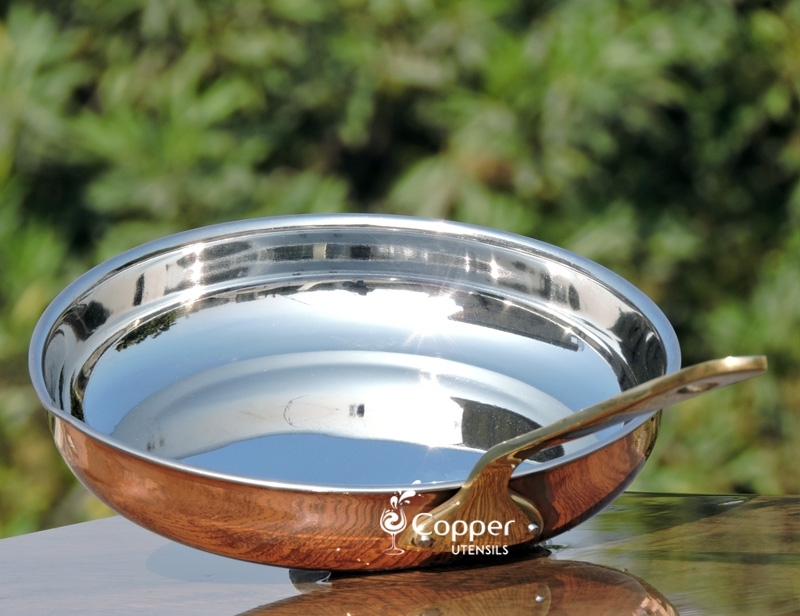 The bottom of the frying pan is made of copper which allows good conduction of heat thus saving a lot of fuel. 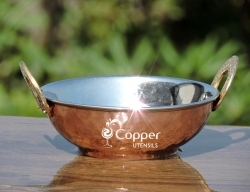 The heavy copper base provides stability to the pan throughout the cooking process. 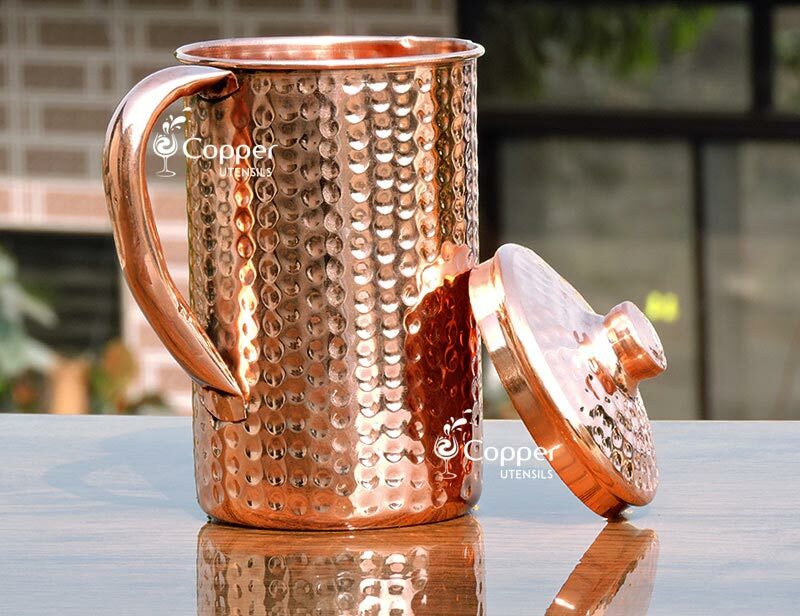 The unique design makes it a must-have for your kitchen.